I traveled to Prague for a personal vacation with my daughter and niece whom I call double trouble. I booked my flight and hotel with Makemytrip. 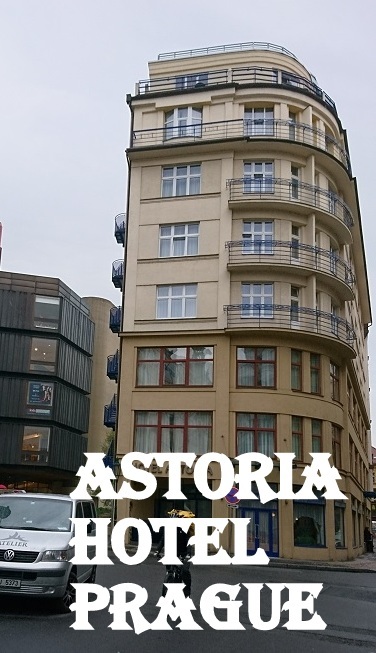 They offered me the Astoria Hotel in Prague and after reading the reviews I agreed to book it. We had a wonderful stay with them. I love it when I get the same service as a paying guest which I get on my hosted blogging trips. As I was traveling Delhi Moscow Prague with two kids, I knew we would arrive dead tired. The hotel website says they can offer early check-in if it is available and provide an email address to request for the same. I wrote to them before I went and they assured me if they had room, I would get it early. As predicted we were dead tired on arrival, but the good bit was we got a room within ten minutes of arrival, much ahead of the check-in time. It was a blessing for us. Both the girls and I went to sleep for five straight hours. At the check-in I did the usual formalities of giving our passport, signing the form and getting the room key. It was all a breeze! Our booking included breakfast. They serve breakfast everyday from 7.00 am to 10.30 am. More than anything I loved the smiles the two girls got from the serving staff. As usual the kids would step in people’s way, open any lids they wanted and generally goof around! And yet the serving staff treated them with a smile, always! I was really thankful for that. For the girls, the choice for breakfast was over as soon as they spotted Nutella! I loved the porridge and yogurts. There were breads, eggs, salads and more for me. I did not eat any other meal in the hotel. When I Ask them to Close their Eyes! We had a double bed and an extra bed in the room for the three of us. Vasu took the window side of the double bed, Chhavi the single bed and I was in the middle. We slept well everyday. We would be dead tired from all the walking in the city. Th highlight was the bathtub in the bathroom, which the girls loved. It was their first encounter with a bathtub so I have spared them the water conservation lecture. We don’t have a bathtub at home. But I am saving the lecture for next such trip! 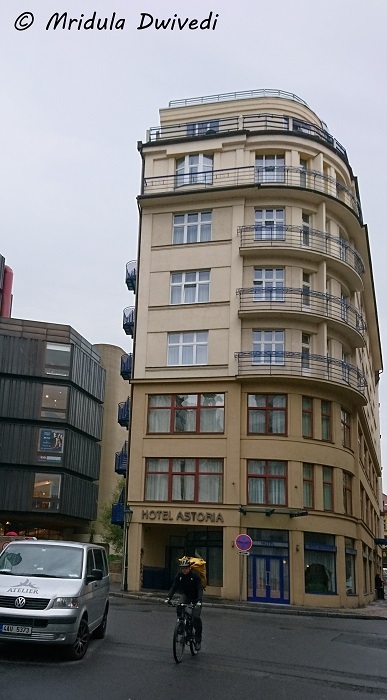 Astoria Hotel is located in Prague 1, the historic district of the city. You can walk up to the Astronomical Clock and many other locations. 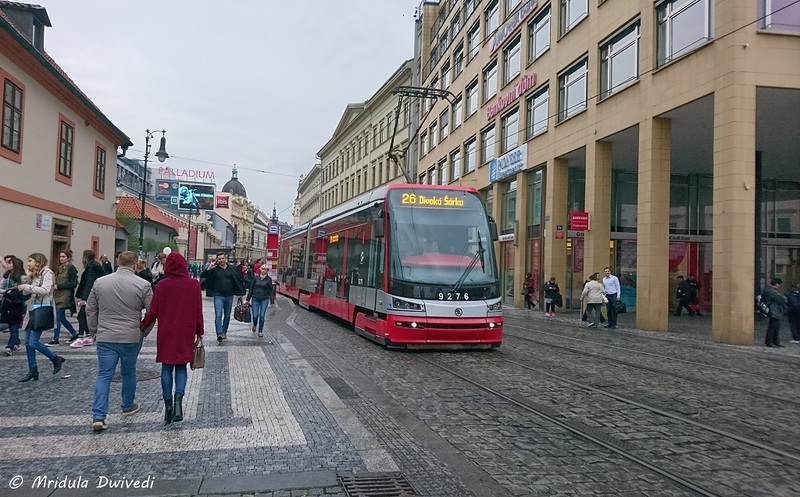 It is a few minutes walk from the Palladium Mall and the Namesti Republiky metro and tram stations. There are many restaurants and cafes in the vicinity. Astoria Hotel in Prague is a nice place to put your feet up. At all times the staff was courteous. I booked my taxi to the airport with them. I paid the driver directly and the service was good. My check out experience was without any hassle too. Overall I had an excellent stay with them!